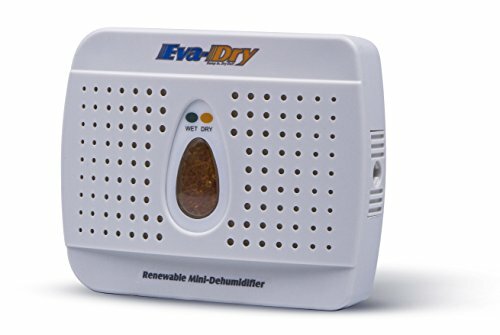 If you’re looking into purchasing a dehumidifier for use in your home then you should definitely look into getting a cordless dehumidifier or battery operated dehumidifier. These products are vastly superior to the traditional brands because they come without any limiting cords or cables. Traditional dehumidifier unit’s need to be plugged into an outlet to receive power. This vastly limits their effectiveness for home use because they can only be placed near an outlet or other power source. They are stuck in small corners, limiting their effective range to much less than it was meant to be. Battery powered dehumidifiers don’t need cords or power cables to function. This means that they can function anywhere, allowing you to place units strategically around your house to maximize coverage. In addition they are fully mobile. This means you can carry them with you from room to room to maximize your personal comfort. These compact and mobile dehumidifiers are an extremely effective means by which to capture excess moisture in the air of your home. In addition they have a rate of absorption that is more efficient in comparison to more common, dehumidifiers. In addition to personal comfort, these humidifiers protect your living space against the development of mold, mildew and other funguses. These tend to grow in dark, moist areas but can spread over time and damage. In addition to being visually unpleasant, molds and mildews produce odors and can even do damage to your homes internal infrastructure if allowed to develop unchecked. Critical locations in the home where a dehumidifier can be placed include the bathroom, kitchen, and the basement. It’s also good to have one in certain dark, enclosed areas such as in cabinets. If not, you risk the contents being affected by mold as well as excess moisture. From simple clothing to expensive items like cigars and even firearms, a small battery operated dehumidifier is the cheap, easy way to protect your valuables from water damage or mold. Otherwise you may find yourself having to drill holes in your cabinet, or find inventive ways to run power cables and wiring through it. Meanwhile, a simple cordless dehumidifier can be stuck to the wall and keep your valuables clean and dry with only the most basic of maintenance. Just check once in awhile to see if the batteries need to be recharged and you will be good to go. Most dehumidifiers need to be renewed after twenty to thirty days, though the exact time period depends on just how humid the area it is placed in happens to be. Lots of moisture means the dehumidifier will have to work harder and will wear out faster. A convenient light on the outside surface will help indicate when your cordless dehumidifier needs to be renewed or recharged. Different models function in different ways so it is important to do research on the specifics of the model you are purchasing. A quality dehumidifier is a valuable investment in your home and can keep your house or valuables clean and dry year round if maintained. When you say that “Most dehumidifiers need to be renewed after twenty to thirty days”, do you mean replaced, as in discarded and a new one purchased? If not, what does that mean?